Couch Theatre is a self-described ‘upbeat and offbeat theatre company made up of young adults’, many of whom are Rafflesian alumni. They have returned with their much-anticipated second performance, The Pillowman (2003) by Martin Mcdonaugh. This script requires its cast to achieve a difficult balance of dark humor and emotional gravitas, a challenging task for any group of performers, much less a budding group of young artists. 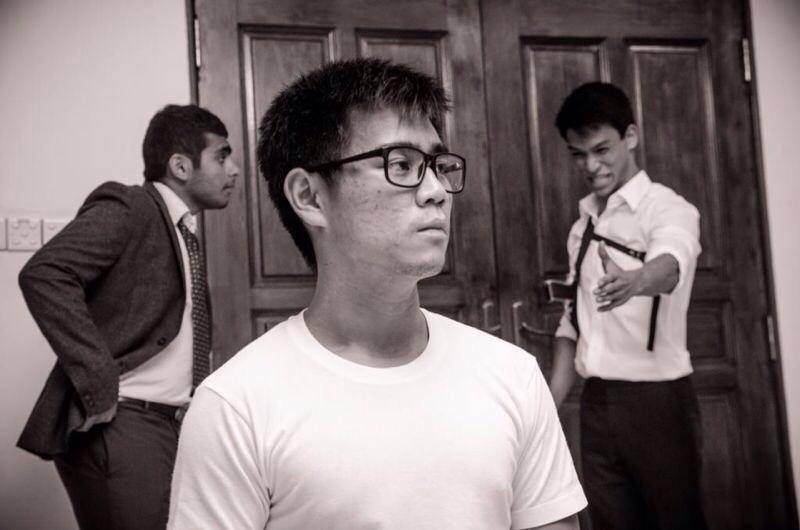 Couch Theatre successfully created a gripping and engaging performance, carried by a small but very talented cast. The plot centers around Katurian K. Katurian (Lim Shien Hian), a hopeful young writer, who is being interrogated by two policemen, Ariel (Ziyad Bagharib) and Tupolski (Uday Duggal), for the death of several young children. 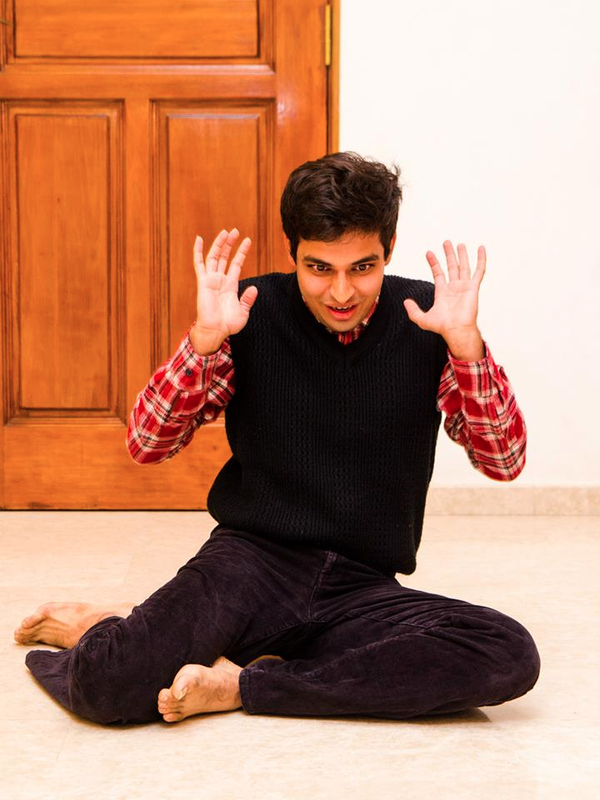 Also being interrogated in the other room is Katurian’s mentally challenged older brother, Michal (Shrey Bhargava). The piece is pebbled with narrations and reenactments of Katurian’s macabre and grotesque short stories. It weaves intricate dialogue with captivating storytelling, interspersed with unexpected moments of intense emotion. 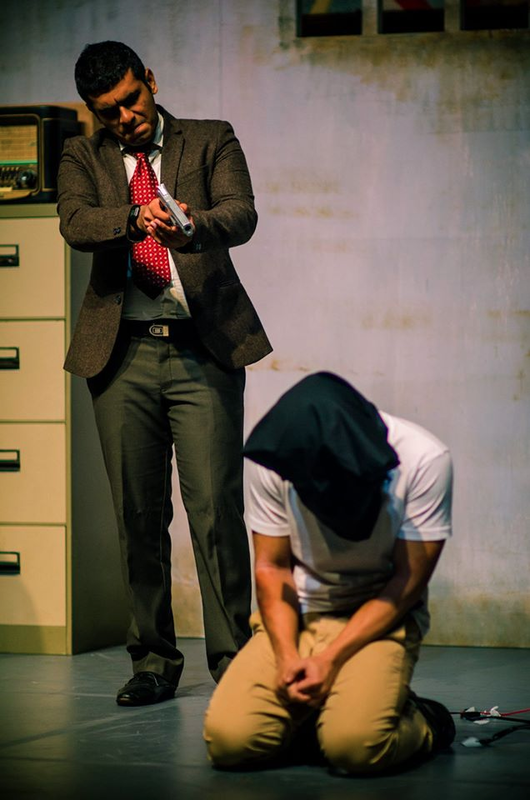 Its standout moments were its interrogation scenes, which featured rapid-fire dialogue between Katurian and the policemen, whose quick and witty responses sustained the energy onstage, and often sent audience members into fits of laughter. In these scenes, the director nimbly navigated terse, inaccessible lines and the absurd circumstances to emerge with a cogent, playful piece. The array of inventive personalities, as well as their fascinating power dynamics, were skillfully interwoven into the story, bearing testament not only to the strength of the cast but also to directorial prowess and clarity of vision. Also well-done was the story sequences by Cheryl Foo, Salif Hardie and Hanis Nazierah. The fantastical, highly visual reenactments of two stories were a breath of fresh air for the audience as they plunged us into a heightened alternative world outside of the reality in which the rest of the characters existed. Cheryl and Salif transitioned seamlessly through various roles with exceptional precision, ranging from eerily over-attentive parents to an odiously sneering couple, utilizing nothing but the subtlest of changes in their physicality. Hanis also played a zestful and naive young girl with the sort of gracefulness one might expect of a dancer. These beautiful, stylized scenes evinced creative and daring direction by Jasdeep Gill which certainly paid off. That being said, scenes of emotional gravitas, especially during the extensive dialogue between the two brothers and later on in the Act 2, failed to make us feel keenly for the relationships between the characters. Moments where Uday and Ziyad ventured into emotional territory proved to be cringe-worthy as well. Shien Hian’s affected demeanor and stilted manner of speaking sometimes impeded his expression of weighted emotion, and the chemistry between Shien Hian and Shrey was lacking from time to time. The presentation of the stories, arguably the most important parts of the play, also fell flat at times. While the narration was definitely valiantly attempted, it was still unable to fully draw out the potential of the stories, which is a great pity given that their highly imaginative, morbidly intriguing content has the capacity to wholly engage and arrest any listening audience. Other aspects of the play stood out for the wrong reasons. Stage-handing was clumsy, and some of the props, most saliently the obviously fake gun at the end, were almost laughable. The blood on Shien Hian’s shirt looked more like spilt kool-aid than anything else. It was also difficult to rid ourselves of the awareness that no matter how talented, the main cast was still a group of young men who were playing roles much older than themselves. Despite attempts to adopt more aged mannerisms, they were still unable to completely shed their youthful energy. This sometimes gave us the impression of a school production, albeit a superbly crafted one. When it came to the production process, we must applaud these young adults, many of whom are currently in NS or university, for juggling their external commitments while committing their time to innumerable rehearsals. For example, Uday is currently a sergeant in the military working dog unit, and had to juggle being ‘in camp during the day, then rush(ing) down for rehearsals or shows til late, and then back in camp the next day.’ Ziyad also stated that ‘nothing could quite prepare (them) for the amount of time and effort that play actually required. Many long nights were spent poring over ideas for this and that, many rehearsals were stretched far longer than scheduled to fix that and that, and there were points where I really needed to dig deep to remind myself why I wanted to do this in the first place.’ The immense hard work and commitment they’ve poured into this project serves as a healthy reminder, as Uday so aptly puts it, ‘that it’s important, no matter how small the window of opportunity, to keep doing what you love, to keep alive interests and passions that you held (…) And find new ones too.’ The courage of our alumni to continue doing what they love even after graduating from JC should inspire us to all be equally ambitious and daring in our future pursuits. Couch Theatre’s obvious passion and love for the stage culminated in an excellent piece that constantly kept us on the edge of our seats. One can only imagine the combination of visionary boldness and mature pragmatism that was necessary to make this production come into reality, which is all the more impressive when we take into account the relative inexperience of the company’s members. In our eyes, there is no doubt that this is one group to be on the lookout for.